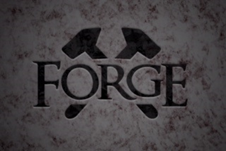 Our Men’s Small Groups at Crossroads are called “Forge.” The definition for “Forge” is to form something from heating and shaping, to form or create through great effort, to move forward slowly and steadily, and to move ahead with sudden increase speed-power. Our hope is that as we gather together in Small Groups that God will challenge us and we will grow spiritually, that we build a new life with and through others, that we consistently move ahead in God’s grace, and we get ready for God’s surprises. We have two options for attending Forge Men’s Small Groups. Thursdays from 6:30 pm to 8:00 pm and Saturdays from 10:00 am to 11:30 am. Each group will be studying different material so you should select the one that best fits with your schedule. Men will first meet in a Large Group for the teaching component and then split into Small Groups for discussion, prayer, and Small Group plans. Sign up ONLINE HERE for a Forge group or other men’s small groups!